We want to help you engage in educational conversation every day through art. Find art and educational opportunities everywhere. Super busy, but love to learn? Get five easy educational tips every month! Subscribe to our Top 5 newsletter! Come meet us! Check out local shows and shops where you can find our products! 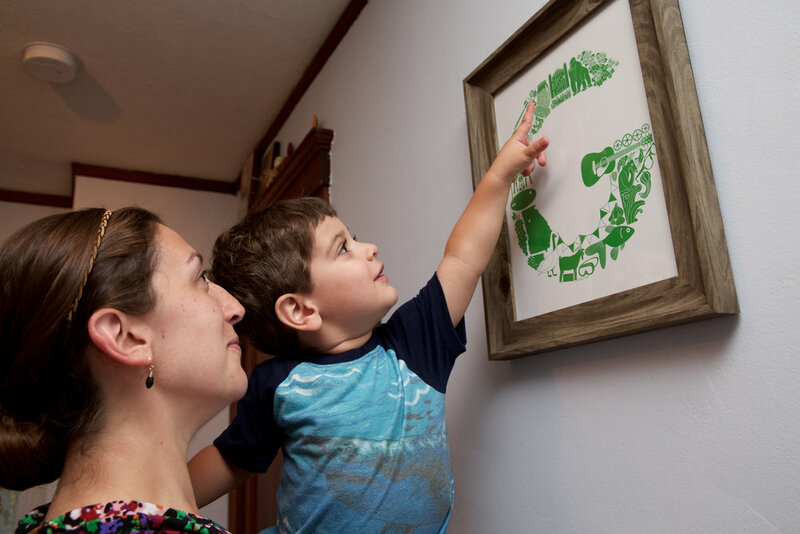 With The Artful Alphabet™, we add an educational and aesthetically eye-catching element to your home or classroom. Each product contains at least one letter and each letter is made up of objects that start with that letter. This provides multiple layers of educational opportunity to discuss geography, the animal kingdom, science, art, literature, sports and games, colors, and more! The secret ingredient is your imagination!